At the heart of most things we buy as consumers, is the process of manufacturing. Whether you're manufacturing in the pharmaceutical, engineering, electrical, automotive, clothing or food industries, we can keep things flowing. For those working in this industry, the need for efficient storage solutions is a daily challenge. The overall aim is to reduce error rate, improve ergonomics and work flow, maintain optimum productivity levels, and have a well-organised environment for each processing stage. Since manufacturing activity is often a multi-stage process, storage problems rarely have a single solution. Different stages of the process may require different storage methods, which combined, create a well-organised operation – and we can deliver them. The packaging, storage and dispatch of manufactured items are the final challenges in the manufacturing process. Is it a direct dispatch to a customer or made for stock? Depending on the dimensions and weight along with any shelf life issues, we can help you determine the storage method most suited for your requirements. Pallet Racking – the most common method of pallet storage. 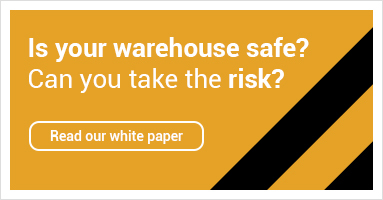 Perfect if you have a finished goods warehouse in any manufacturing environment where your goods are palletised prior to shipping. Pallet Shuttle / Drive In – by removing access lanes, this allows you to load and retrieve goods from the front face and is the perfect answer for bulk-storage challenges. Pallet Flow / Pallet Racking – ideal for FIFO operation; providing automatic stock rotation and fast access to goods. Perfect for storage of goods with a high turnover. Shelving – ideal for the storage of small goods and non-palletised items, with an extensive range of accessories. Cantilever - ideal for the storage of longer goods with a range of light or heavy-duty arms available.